Hands-on activities are so important for young students’ academic engagement and retention. 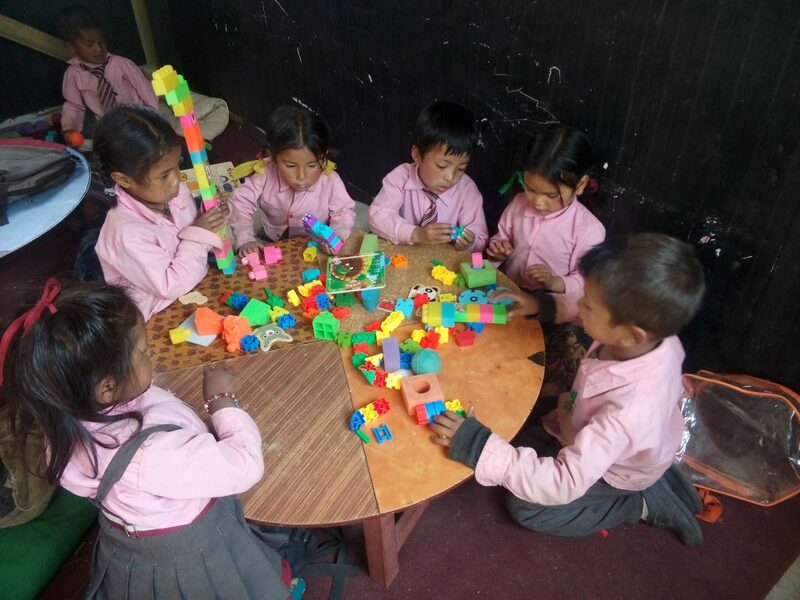 These children at Janajyoti Primary School are using materials provided by ETC, on a table provided by ETC. You can support this useful work – click here to visit our GlobalGiving “Better Schools in Rural Nepal!” project page. Thank you!